The year-long durian fever has created much excitement at home in Malaysia. While our heads are beginning to cool, it is good to find the answer to a key question: can we turn the aspirations (of durian as the new economic pillar) into reality. Or is it a case of too much hype, or as some industry players said, we believe in our own propaganda? Can Malaysia transform its durian small holdings into large plantations, scaling up production to meet rising demand? Can the durian fruit become the new economic pillar for the economy? Will the interest and demand in China sustained in the long run? 3.Small holders: In Malaysia, durian is planted by small holders in farms average 5 to 20 acres. Unlike Thailand with 200 year of history in the crop; and their commercial durian planting has developed into a substantial industry with large acreage and matured marketing and distribution; in Malaysia, the small holders manage them like garden or small orchard crops. The planting experience is only 80 years. In Malaysia, the planting acreage nationwide is 66,000 hectares, annual production stands at around 330,000 metric tons. In 2017 export revenue reached RM 70 million. The durian planting story is one of self reliance by rural Chinese; there has been little help to support them in horticulture expertise and in marketing of the harvest. After toiling for decades, these small farmers are now detecting a glimpse of hope, is this a promise that their perseverance will finally be paying off? 4.Durian is a forest tree; it grows naturally in the wild. In the past there was little intervention like fertilising or pest control. Many orchards have no irrigation facilities; and not to mention drought management measures. Where abnormal weather is experienced; growers can do little to mitigate. Unlike the large scale oil palm plantation; durians are grown in small holdings without scale and proper management system not developed; all is in the head of the growers! Because of the lack of scale, fertiliser companies do not find it viable to make special formulation for durian trees; farmers go by trial and error, each find their own way to get a good crop. There is no SOP guiding the operation of durian farms. 5.A Premium Fruit: Because the Durian Fruit has less intervention and naturally ripen on the tree, it fetches a better price. Thai durians has become a commodity. Like truffle, cordyceps, bird nest and ginseng, we like to think that durian belongs in the category of fine food. The price should be high, or higher, durian is unique, it is not for everyone, it has its following of loyal fans. Malaysian durian must not compare itself side by side with Thai durian as its positioning as fine food will need a different development strategy. 6.Export to China:In 2015, China imported 299,000 tons of durian valued at USD568 million, excluding paste and other products. Durian ranked No 4 among imported fruits in China, after banana, cherries and grapes. In the 2010-15 period; imports of durian in China grew by 12% (in value terms); and 31% (in quantity terms). Thailand exports 358,000 tons world-wide, valued at USD380 million, Malaysia exports 20,000 tons valued at USD 17m. The average price of Thai exports per ton is USD1061, and Malaysia is USD850. In Malaysia, per durian tree can yield about 73 kg per year (61 of 1.2 kg fruit). The Agriculture Marketing Arm (FAMA) estimates that the durian crop in the country is only at 40% of its optimal yield. Is the market in China really that big? According to a statistics released by the United Nations; Singapore imported 17,847 tons of durian, 93％are from Malaysia in 2017. From Malaysia’s annual production of 302,000 tons; the export volume is still very small; In 2015, export stood at RM23m, 2016 it dropped to RM18m and 2017, total exports were RM74m。Thailand is the world’s largest exporter of durian, controlling 90% of global market share. In 2012, Thai durian exports stood at 371946 tons, its primary market is China, Taiwan and Hong Kong. In China, 300 g of frozen durian pulp retails at RMB180-220. Every 2 kg frozen whole fruit goes for RMB588, inclusive of of delivery anywhere in the country. There is a fruit distributor from the North East annually imports 1000 containers from Thailand, total 22,000 tons (each container is 22 ton). This distributor thinks that with the more superior quality of Malaysian durian, they can at least sell 300 containers; i.e. 6600 tons. The question we must ask is, would Malaysian durian be sold in the same channel as Thai durian? And at higher prices how much can we sell? How would importers adjust the retail strategy, who are these consumers? We learnt that all those traders who now send frozen whole fruit face many constraints. now they cannot sell in the open and only do online or promotion in small kiosks. Can we pluck the durian fruit before they are ripe? An accidental discovery by a grower found that if one insists on plucking the matured fruit, it can only be done 5 days before they drop. This time window is too short to allow for the export journey. If durians need to be refrigerated and cannot be displayed in the open at the retail outlets, can we push large quantities out to the market? How to sell premium fruit? How is durian sold at home all these years? Each time when the durian season arrives, one can find temporary sheds along both sides of the highway or village road; these basic and make shift sheds, with no supporting facilities like toilets or wash basins, worn out plastic tables and chairs. Passing cars will stop and passengers alight to buy or eat durians by the roadside. When the durians arrive into the cities; the same selling pattern is repeated, often sold from the back of a truck. The durian seller opens the durian with his gloved hand; Malaysians eat using their bare hand. Now the Musang King’s value has gone up 6 to 10 times (to RM60 -100 per kg), people are still eating with their hands in the open air. There is nothing wrong about this; but shouldn’t we move on a little? The price of durian has risen, no much has changed to the environment in which durians are sold and its packaging. We heard that there is a price war going on in China, and there are many Chinese players used to price cutting now in the Malaysian durian trade. If Malaysian durian is such a premium fruit and it is in short supply, and there is a loyal fan club, why are the traders diminishing the value of durian? Do they know that the price elasticity of durian is quite low? Everyone knows nobody wins in a price war? What should we do to realise durian’s value in export markets? Admittedly there are some bad apples, especially when the industry is in its early stage. In extraction puree, some traders mixed Thai durian with Malaysian durian, mixing D24 with the village unbranded durians to maximise puree extraction. Some promote Musang King from Thailand and Vietnam as from Malaysia. This is a common phenomenon when the the industry has barely found its footing but the risk is that such practices can be self damaging — you throw the baby out with the bath water! The durian sector will not get its chance of becoming an industry; we fail before we have barely started! We shouldn’t allow this to happen, if we do that we are not doing justice to the blessings bestowed on this land the people and what an opportunity to go to waste! There are three key issues here; preserving quality and uniqueness, scaling up production and appropriate market positioning and and promotion. The conditions for the durian sector to become an industry need to be created; we need to begin with a paradigm shift and a change of mind set. Irrigation for Planting of Durian: One of the critical condition for large scale durian planting is the availability of water. If you go to Sg Klau in Raub, you will find hundreds of pipes sucking water from the river system there. Expert said, durian require a large amount of water; on average 4000 litres of water is needed per tree, ideally irrigate once 3 days. Malaysia has plenty of rainfall, so water is not a problem, but directing the water to where they are needed require investment and effort. We do not have a network of irrigation infrastructure (holding ponds and reservoirs built to support the large expansion in durian average) spread out to the suitable planting sites. The state governments need to review and design a master plan to enable durians to be planted along the slopes of the main range, as well as on flat land. Large and small reservoir ponds to be built in strategic areas. Looking at this may achieve a one stone kill two birds effect, these water holding infrastructure may also provide a permanent solution to the annual flooding in the east coast states. Scaling up from small holdings to large plantation; big scale planting requires deployment of large capital. The gestation period is a long 7 years, good durians comes from old trees, only if you have deep pocket can you have patience! One tree on average need an investment of RM5000 before you see any fruits dropping; is there any possibility to inter-crop, and if yes, what intercrop to use and how to sell them? It takes about RM30,000 to build irrigation facilities on one acre; and 10% of the total land must be reserved for water holding. Fertilisers is 50% of the input; it is well known among farmers,” if you feed the trees well, the trees will feed you well in return!” Many existing trees are under-fertilised; growers are reluctant to give fertiliser due to lack of capital or for fear of uncertain prices. Shortage of Knowledge Workers: Apart from capital, durian planting is also faced with acute shortage of knowledgeable farm heads and workers. Many planters just hire a team of uneducated foreign workers with a low-paying supervisor, as they said, you paid peanuts you get monkey; experienced or educated farm heads need to be paid and treated well. Modern Farming is precision science, the farm head need to know the science and art of planting; N.P.K, trace elements, EC, what, when, how much and how to apply need a SOP; and when comes to pests and diseases; a lot of care and precision understanding of the environment and horticulture is called for. Gone are the days when you can leave nature to do the job for you; in the plantation sector, you need proper management protocol to produce the desired yield to justify the investment. Big capital is important and necessary, but money alone does not guarantee success. Many large oil palm companies, attracted by the financial potential of durian, they are jockeying to enter the sector; and talks of transforming large acreage with big capital fills the air. It is wiser to begin small, build the team and train the people before scaling up. Nurturing he export market:It was mentioned earlier in the article that durian belongs in the category of fine food, not a commodity fruit. As such, we need to target right and get to discerning consumers with the right amount of renminbi. If the price war continues at the retail shops or on taobao; there is no meaning at all. We know for sure, presently and at least for the next 5 years, there would be big spikes in supply, as such with such scarcity in the market, should we know not use durian to promote tourism; “if anyone wants to eat Malaysian durian, come here.” Maybe we are not ready to export; if we haven’t got a good strategy in place, and we allow the importers and retailers to mark up the price at the demand side, and the money is being made by other people and elsewhere; there is really no reason why we should go this way, we need to strategize. I have been studying the durian sector in the last 12 months and are pleased to report that a new group of durian growers are emerging. Many of these are ex professionals, retired business leaders who want to return to the rural village but still want to be productive and contributing. These group of new durian growers are open and receptive; they are “learning” growers. The big plantation companies are discovering durian planting; with their large capital and experience in plantation management; they could. do the necessary R & D in planting to increase the knowledge for the sector. FAMA has done wonderful work, these efforts can go further into branding the Malaysian durian. We need an integrated strategy that involves the government, investors and growers. The world of business has changed, it would be wiser to strategize together and move together as a nation and community to win. Many investors could be misled into thinking that it is simple and straight forward, i.e. you get fruits after 4 years; and once they get into the business, they could be paying hefty tuition fees, they soon realise that reality is far from the appearance. A new tree can bear fruit, just like a young woman who starts to menstruate can conceive, but one has to have the patience to wait for full maturity of the body. Same with durian trees, 7 to 10 years is a must for the tree to get is anchor and get established. Most investors too under estimate the amount of CAPEX needed and have under provided. Lim Chin Khee, a durian consultant said, the casualty in new planting is very high; not 10% will succeed. There is no room for the traders who want to cash in for the short term. For durian to become the new economic pillar for the country, we need an integrated strategy; a partnership between the government, the investment community and the planting sector. The present excitement need to be guided into proper evaluation and planning in order to yield good returns. The Durian tree is not a straight forward crop tree, it takes the nurturing by master craftsmanship of a loving grower, proper care for the tree to grow healthily. Steady hands are needed with backing of good capital for its sustainable development. *Thai durian sells for RMB40 per kg in China. but farmers only receive RM4 Ex farm, only 10% of the retail price. Another known fact to many is the Thai Durian industry is no longer run by Thai national. *Chinese consumers have discovered Malaysian durians, they like our durians. In China, first durian became popular in the southern region; and slowly it spread to the central and now people in the north are getting interested. The Chinese Agriculture Academy predicts; the consumption of fruits among the Chinese will continue to rise; reaching 93 kg per capita by 2024. Tropical fruits are popular among Chinese consumers, and durian is the most loved tropical fruit. *In view of stable growth, and no immediate increase in supply in the short run, all new plantations are not expected to have high yield in the next 5 years; we can safely expect prices to hold within this period. The question therefore is; how do we position this prized produce? How we build the industry surrounds its positioning. Regardless of whether it was the Chinese who discovered Malaysian durian or our traders have discovered the China market; we see a growing potential for Malaysian durian in China. Within the durian planting and trading community; government and private, there is a need to build a consensus on its positioning, and instruct how we develop the orchard fruit into a high value industry. *Big Data revealed buyer of durian in China are young Chinese women in the age range of 25-30. There is a Thai Brand (泰蓝), they use Musang King durian from Malaysia and processed them into 150 gm ready to eat packs, like ice-cream or yogurt packs. These little packs retail for RMB79 online. At this price level, and selling online there is sufficient margin to make the effort worthwhile. This is one success story we can make reference to. *Another known fact is durian tend to develop strong loyal fans; their return purchases are high; in fact, no fruit enjoyed this kind of status with their fan base. These durian fans are ever enthusiastic about durian, there seems to be a magic here, durian fans not only seek out the best durian, they tell each other and act as goodwill ambassadors. I watch durian farmers enjoying themselves so much when fans show delight in eating their fruit. There is a certain happy energy associated with this fruit. In the age of social media today, we can build the database of durian fans to enable future direct communication and promotion. *We also know that Malaysian durians are not suitable to be harvested before they are fully ripe; hence this doesn’t make the fruit suitable for long distance export route to foreign markets. Research has been done on plucking the fruit earlier; but the time window is insufficient to make export of fresh fruits viable. The viable option today is using IQF deep freeze processing technology where the goodness of the fruit can be fully preserved. We need to educate export markets; that frozen durian is as good as fresh. Admittedly when you have to keep your durians in refrigeration; hiding them in fridges as some may say, it is hard to promote and sell. However, we may just have to turn this feature into an advantage, that we have deliberately selected this way as naturally ripen durians have nutrients at their maximum; and in line with consumers’ quest for natural food today; with concerted effort, we may be able to create a new taste. If the present supply is scarce, how would we market this precious fruit and get the value we deserved? If we go by the traditional export route; through wholesale, retail; a product of RMB200, may have to allocate 50% of this value to the logistics and distribution in the chain. Admittedly there is no super profit here as the distributors have to cover risks of spoilage, handling mishaps, cost and distribution of profit of all players in the value chain. But in this ‘more of the same old ways’ the growers do not stand to rise with the tide. So what other options do we have? Instead of working so hard to find to export the product and share the profit with others; why not we think about putting our effort to attracting more tourists coming to Malaysia to eat durians. Why not we develop a strategy for durian tourism? Globally there are very few attractions that can draw large crowds flocking to a location and create value for the local economy. Where fans are willing to spend money and visit the place to enjoy the unique experience. The Japanese Sakura Hanami is one example. If anyone wishes to see the sakura or cherry blossom flowers in full bloom in spring; you just have to visit Japan at the right time. Every year from March to May; almost 6 million tourists visit Japan, and hey spend an average of RM6,000 per capita during their stay. This is called unique locational advantage; it is unique and special, not available anywhere else. For the Malaysian durian, the situation is the same. If you would like to taste fresh durian; you have to come to Malaysia at the right time. Chinese tourists to Malaysia numbered 2 million in 2016; average spending is RM3000 per capita. We can build on this foundation. i）Develop 10 special durian tourists site throughout the country; work in partnership with state governments. In these selected sites, build public infrastructure to support large tourists’ arrival; ensuring safety; convenience and comfort. Today’s young tourists no long comes in group tours, many armed with their mobile phone, rely on the web to guide them to their desired places. Just like Japan builds and updates the Sakura viewing site, we need to build a comprehensive Durian Tasting site; where farms are listed; directions on how to get there, Transportation (Uber to be recruited as partners) and bookings for durians can be made. Durian tasting packages can be developed in partnership with these farms, selling through MAS and Air Asia; as well as homestay or hotels on the selected sites. We then work with distribution agents in China to pre sell these tours; selling durian coupons which will be honoured by the receiving farms and retail establishments in major tourist cities. This way we can ensure maximum visitors arrival to enjoy the harvest season. ii）The Department of Agriculture (DOA), farmers’ organisation and FAMA, together with Tourism Malaysia and state tourism bureaus; can work together to beautify and build interesting visitor centres in the selected durian parks. Visiting farms, with large crowd is not a good idea as we have considerations for bio-security. On these visitors centres we build creative structures; ones that is tropical in character, promotes good air flow, clean and comfortable; surround them with beautiful local fauna; build gardens around them. These visitors’ centres can serve both tourists local and foreign as well as the local community. They can serve as the regular Sunday market, and during harvest season, they are turned into durian fairs. Let the designers go to work, build covered structures with easily maintained toilets, wash basins and rest benches. Be friendly to old people and the handicapped, and of course lots of parking. iii）Build an Annual Durian Festival: Each year when the northern hemisphere goes into summer, we pick a couple of day to launch a big festival and concert. Just like the highly acclaimed Rain Forest World Music Festival, it has now become a permanent features of Sarawak Tourism. Started in 1998, with only 300 attended the first festival, after 20 years, the festival is attended by over 20,000 fans from the world over. Durian is a key attraction for Tourism Pahang, Johore and Penang, for example. How can we use Durian as the main theme, but bring together other folklore, art, cuisines, music and dance to celebrate the diversity while we celebrate durian harvest? How do we assemble the very best from around the region to present to the world? There is still room for growth for Visit Malaysia tourism among Mainland Chinese visitors. Thailand for example hosted some 9 million tourists in 2017, bringing in almost 6 billion bath (750 million ringgit) in tourism receipts. The charm and magic of the Musang King durian can be enlisted to help in the promotion; we need to build a systematic, sustained promotion campaign; with specific targets and objectives, sustained effort to build to critical mass, say in 5 years bring this number up to 10 million. We can also mobilise the clan networks of the Malaysian Chinese in China; they can help pre-sell durian festival coupons. Let’s try to imagine; if we grow 2.1 m visitors to 10m, 50% of them like durian, and each one spends RM1000 on durian (both enjoying the fruit while here as well as bringing back with them); Chinese are willing to spend on food; this amount is not impossible. This can translate into 500 million in revenue; and we are keeping all these here at home. Then the 5 million tourists start sending photos and visuals on their We Chat to their friends; say each send 10; this means we reach 50 million at no costs of our own! If each of them sends a further 10, you would have reach 1/3 of the Chinese population! So we have to develop beautiful scenes where people will take photos that will go viral. This suggestion is not theoretical, we implemented this through a Pahlawan Volunteers initiative on Visit Malaysia Cyber campaign in 1997, the effort received commendation from the Prime Minister and Tourism Minister. When the Chinese have an unforgettable durian tasting and culinary experience in Malaysia, they will share with friends in their circle, and the positive spin will elevate the status of durian and Malaysia. We ought to make full use of the “fans-economy,” this way we keep much of the revenue at home; benefiting grower, traders and the multiples of inbound tourism help to spread the durian ripples into the other economic sectors. Remember we mention Thailand’s experience at the start of this article, we should not take that route. 2.Building online sales and assemble the big data on durian fans. Here the nation needs to come together with one mind and one strategy; the government, fruit dealers, growers must unite to protect the good name of Malaysian durians. We only bring the best durians to the market; and this reputation must be strictly protected, nothing is more important than the integrity of your brand. There is durian dealer in Thailand who is so strict with its quality standards; out of over 100 durian farms, only one can meet their standard. But this insistence pays off, consumers are willing to pay more, as much as 33% on top of the regular price to get to quality fruits. This further affirms our plead to all; produce good quality fruits to get higher value. A central durian web（Durian Central) and mobile APP be built; so each tourists can find their own way and the APP also serves as the tour guide. All durian related products and services can be listed here, and let the visitors rate their experience online. The entire Malaysian durian industry must be disciplined and work hand in hand to build a sterling reputation, the brand is Malaysian durian. Unlike other tropical fruits, durian has an extra-ordinary property that lends itself to be used as an ingredient in a range of derivative applications. China seems to be more advanced in the derivative applications; from the durian pancake dim sum at at the Guangzhou tea houses, western pastry, cakes, tarts, puffs, pizza, deserts, ice cream to moon cakes; the possibilities are unlimited. Although there is a wide range of these offerings today; they only use a very small portion of our durian production; not more than 10% of durian harvested go into this sector. Nevertheless, this is an important value add for the industry. Everybody knows the difference between Malaysian and Thai durians; however, we should stop comparing them side by side. Online, some traders are still doing a comparative push for their products. Admittedly at the early stage of the industry; this is a common feature; traders are trying to attract the attention of existing durian fans and direct them to Malaysian durians; but long term, if we want to avoid the fate of RMB40 per kg, we must change course. People know and yet don’t’ quite know; why is Malaysian durians far more superior than other durians? Why with so much experience behind them, Thailand cannot produce the same premium stuffs that we do? Do we know why? My observation of the quality of tropical fruits from the equatorial region revealed the answer; It is the equatorial climate, stupid. Being close to the equator gives us our comparative advantage, a uniqueness that cannot be duplicated elsewhere. The equatorial region is located 10-degree north and south of the equator. The latitude position of Malaysia (4.2105°N), Thailand (5.8700° N), Vietnam (14.0583° N) ，Philippines (12.8797° N) and Indonesia (0.7893° S). Although much of Southeast Asia are in the tropical climate with summer all year round; but within the 10-degree zone of the equatorial region; the sun’s rays directly reach the vegetation, and there are 2000 hours of sunshine a year. The sunshine promotes photosynthesis and sugar making, hence most tropical fruits have high brix or taste sweet. There is plentiful rainfall, between 2500 to 3000 mm per year. Long term, Indonesia can and will pose as a greater competitor for Malaysia durian, not Thailand, Vietnam or the Philippines. Sumatra, Java and large tracks of land in the Borneo island of Kalimantan, with their rich soil, big land mass and hard working locals, they hold good potential in durian cultivation. Here in Malaysia we wait for the durians to ripe and fall naturally. We don’t pluck them ahead to make time for the global distribution chain. This is because the nutrients in naturally ripen fruits are the best; and we uphold this practice to produce premium fruit. Today’s modern IQF freezing technology can help us preserve the goodness in ripen fruits; and cold chain distribution can help us get our product to consumers. This is a unique selling point of Malaysian durian and we must keep it. So when durian reaches the destination markets, they need to be sold as premium, and in China’s case, often used a very precious gift item. It is with great delight we present you many Malaysians’ favorite fruit, the King of Fruit, The Durian. From Malaysia with love, we are glad to share with you our unique durian. This blog will bring to you information on durians; this blog will tell you why Malaysian durian is unique, and Yes, with technology; you can now enjoy this quitessential Malaysian fruit in the comfort of your home, brought to you through quick freezing and vacuum packed, where you can enjoy 100% natural durian in the comfort of your home, starting December 2011 in China, and soon elsewhere in the world. 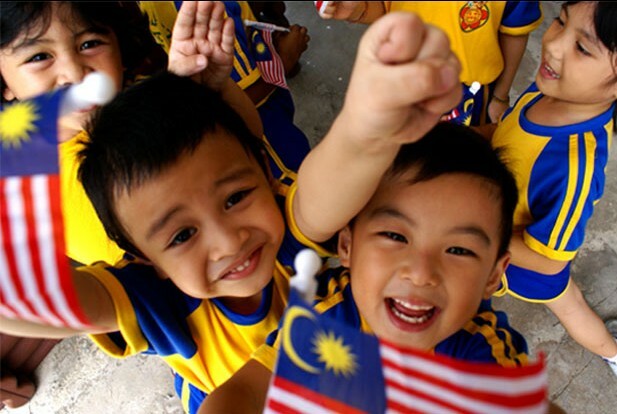 SELAMAT DATANG – means WELCOME in Malaysia’s national language.